10 plays ball to defender. 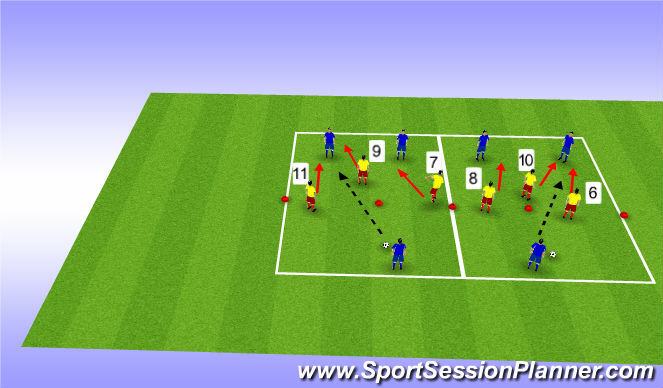 11 applies pressure then 9 and 10 move into support position to defend ball and prevent defenders from coming out of back. Defenders get a point for crossing mid line of grid. Attacking players work together to pressure defenders in the attaching half. Coach plays ball into defender in either corner or middle. Attackers cannot react until ball is collected by defender. Attacker cannot cross green line. 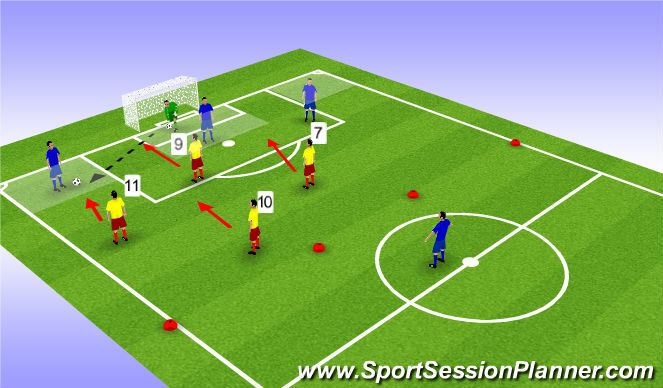 Once ball collected by defender, attackers pressure to win ball back. Defenders get points if they connect to teammate behind the cones. Attackers get points for winning ball and playing it back to coach. 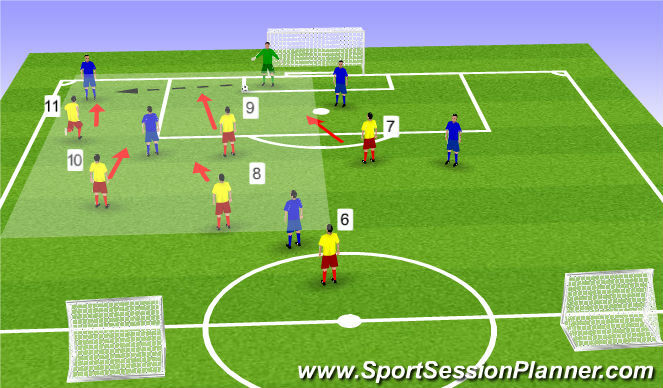 Objective - Attacking and midfield players applying high pressure in the attacking third of the field to win the ball back after ball played into area determined by attacking team. Good positioning and start positions for the forward line (#7, #9, #11) and midfield (#10, #8, #6) support from behind to help close attacking support players. Defenders can score in small goals if they get out.